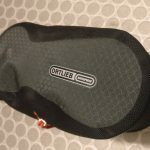 ORTLIEB enter the crowded top tube bag market with their new Cockpit Pack, featuring the durable and waterproof designs for which ORTLIEB are renowned. We find out how it stacks up. 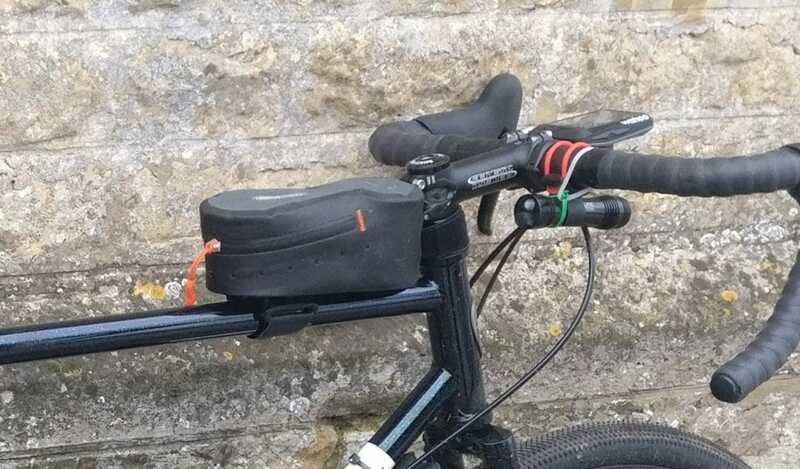 The humble top tube bag is an incredibly useful addition for any cyclist. 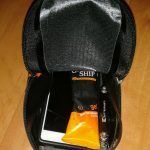 It provides easy access to all those items you want to keep close to hand and also saves you from overfilling jersey pockets. Load it up with snacks and other small items such as multi-tools, money and even your phone. 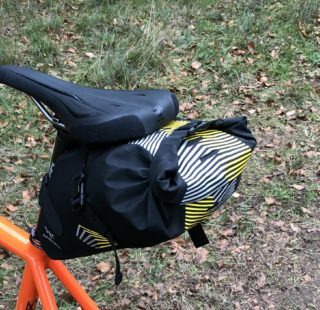 Immediately striking, is that ORTLIEB have not followed the usual ‘zip down the middle‘ design with their Cockpit-Pack. Instead, they have gone for a novel ‘ zip around the side‘ option. It is a lot more weather resistant, but a little cumbersome to unzip on the fly. Once unzipped, you then have to deal with the top flap getting in the way while you rummage. 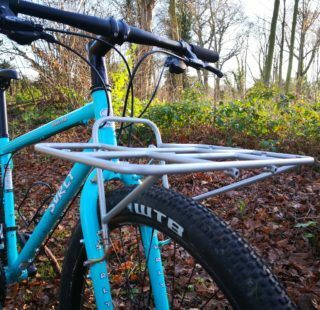 ORTLIEB claim that it provides easy one-handed access. In practice this claim holds up but it does need a hefty tug on the zipper to open it up. As bags go, the ORTLIEB is one of the smaller top tube bags with a volume of 0.8 litres. At a mere 82 grams, it is one of the lightest available. 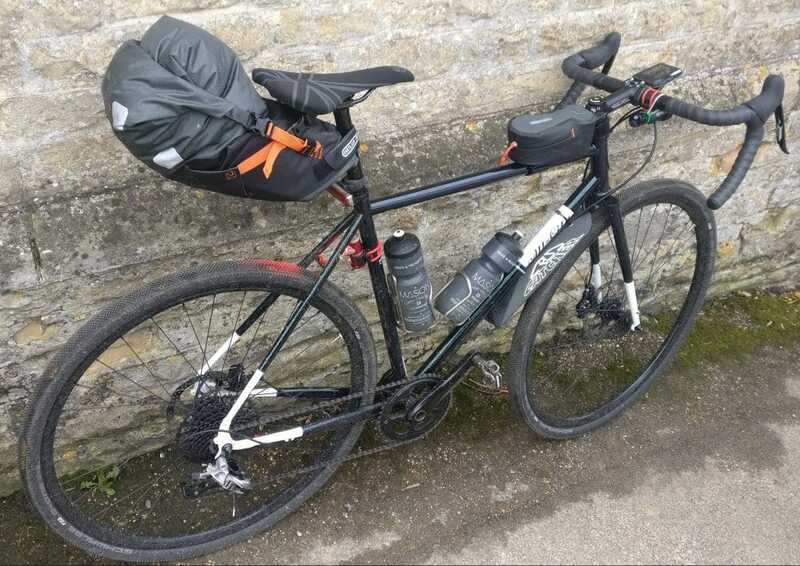 Apidura’s Backcountry Top Tube Pack for example also has the same volume and weighs 100 grams. 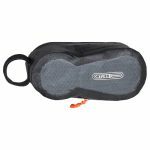 The light weight, sturdy PU laminated rip stop nylon fabric is very stiff, which helps the bag retain its shape. 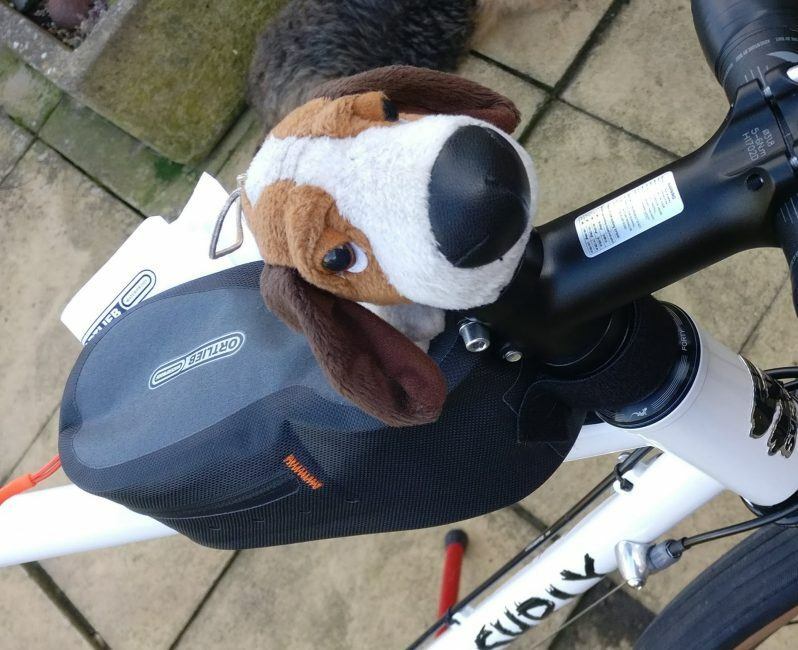 This, and the low profile design means it is less susceptible to swaying on the bike when loaded. 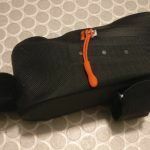 Chunky Velcro straps allow you to cinch the bag tightly into place but we found the design works better on larger diameter carbon or alloy tubes. The slender steel tubes of our All-City Macho Man test bike were just too skinny to tighten the bag up sufficiently enough to prevent unwanted sway. In contrast, the Mason Bokeh with it’s large profile, hydro-formed alloy tubes were chunky enough and we could tighten the bag so it would hardly move at all. ORTLIEB Cockpit Pack seen here in conjunction with the Medium Saddle Pack. 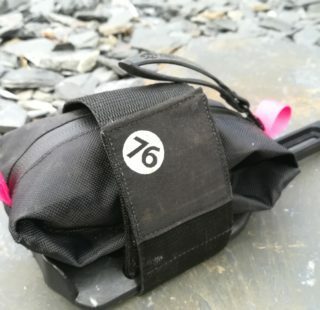 We tested the bag on a 200 km audax in March during the so called ‘Mini Beast from the East‘ which is sensational weather speak for “very cold, wintry showers.” Perfect conditions for testing out the IP53 waterproof claims of this bag then! 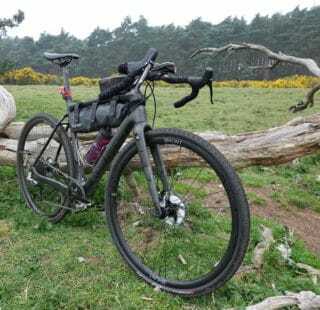 Loaded with phone, USB charger and money, and with everything from rain, hail and snow chucked at the bag during the 200 kilometres, the contents remained dry. Our only gripe is that due to it’s shape, it doesn’t take very much to actually fill it to bursting point. Unzipping the bag and then only just catching a mobile phone as it made a dive for the road below was a heart stopping experience. 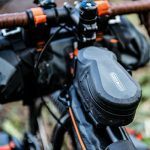 Overall, the ORTLIEB Cockpit Pack proved to be a great long-ride companion and the waterproofing claim is one that can be relied upon. Tough and durable with a 5 year warranty to back it up. It’s just a shame that it isn’t that little bit bigger. Tough, strong and dependable top tube bag that will keep your essentials safe from the elements. If only it was a little larger.